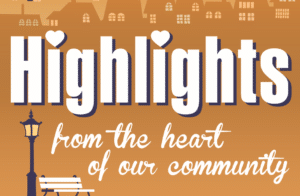 The show airing January 29, 2018 – February 5, 2018 ‘highlights’ the Girl Scouts of Black Diamond Council and the Heads Up Community. We interviewed Beth Casey, President of Girl Scouts of Black Diamond. She discussed their purpose and mission. They are 2.6 million strong—1.8 million girls and 800,000 adults who believe in the power of every G.I.R.L. (Go-getter, Innovator, Risk-taker, Leader) to change the world. They are the preeminent leadership development organization for girls. And with programs from coast to coast and across the globe, Girl Scouts offers every girl a chance to practice a lifetime of leadership, adventure, and success. Their mission is to build girls of courage, confidence, and character, who make the world a better place. Of course it is Girl Scout Cookie time, so we sampled some cookies. To learn more about the Girl Scouts, contact their office at 304-345-7722. We also interviewed Bryan Johnson and Scott Martin of Network Innovation Solutions. Bryan and Scott discussed NIS, which provides information technology management services and support to organizations in U.S. They offer attainable solutions to manage and operate IT infrastructure using our advanced IT service management (ITSM) capabilities, automated toolsets, and skilled technologists. Their trusted team of IT professionals provides superior end user and device management support to improve your business performance and success. NIS offers a complete suite of managed IT services at the level you desire. They also discussed their Foundation to fund Mountain State Center for Independent Living, a 501c3 program to assist, developmentally delayed individuals. 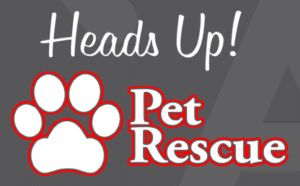 Also under the NIS umbrella is an app for Heads Up Community including Heads Up Pet Rescue. Heads Up is the ability to inform the public of emergencies, upcoming events, or general information is critical, and the Heads Up Community App is a custom scripted software application system that will give your organization the ability to do that quickly, easily and efficiently. Additionally, Heads Up! Pet Rescue was designed to instantly put information about missing, found, at risk, and adoptable pets directly in the hands of those who want and need it. It allows all groups and shelters to put to put out pertinent information via a unified communications platform to the concerned people who support them. This is accomplished without adding any additional work for these wonderful groups and allows better utilization of the social platforms that are also vital to what they do. To contact them about these programs call 304-781-2282.